Below you will find tests and ranges of pricing for various tests. 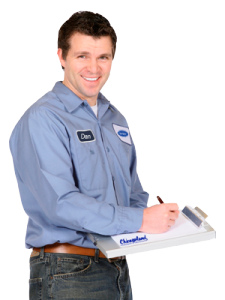 All HomeTestingPros technicians perform and charge for a thorough inspection. (As a minimum service) Without the inspection there is no way to determine what tests should be run. After initial assessment and inspection your technician will suggest the testing that matches the appropriate findings from their inspection. You can agree with your technician at the time of inspection on which tests, from the ones they recommend, you want to have them perform. Air samples gather “partial” data about mold spores. This test may not reveal all species so additional tests like ERMI might be necessary to complete the big picture. One sample is taken outside called “control” & additional samples are taken from inside & compared to the “control”. Air samples are taken by a pump that forces air through a collection device which catches mold spores. The sample is sent off to a lab to be analyzed. surfaces collect a mixture of fungal spores that are normally present in the environment. Swab, bulk and tape lifts are then sent in to an accredited lab by our technician and analyzed to reveal the species of mold spores that could be present in the sample. This type of sampling is separate from air sampling and does not reveal what is floating in the air or collected in ERMI samples. It is only recommended by our technician if they see something that appears to look like a visible mold colony growing in your environment. ERMI (Environmental Relative Moldiness Index) test is a sample of dust that is collected and analyzed by several labs to evaluate the health of a building. ERMI is a DNA-based method identifying 36 different species of mold including all of the indoor water-damaged toxic mold species. HERTSMI is the smaller version of ERMI and only identifies and analyzes five of the more common and toxic species of mold. VOC’s are (Volatile Organic Compounds). VOC testing is an air quality test that uses a sampling pump that collects air samples that are then sent to an accredited lab for analysis. VOCs, are chemicals emitted as gases from solids or liquids. They evaporate into the air at room temperature. Concentrations of VOC’s are 100 times higher indoors than outdoors. Thousands of products we use, or are exposed to, put off VOCs into the air when being used or stored. Common VOC’s can be Formaldehyde, benzene, phenol, acetones and more. With this test you’ll be able to identify sources of VOC and remove them from your home or make safer buying choices for products you purchase and lifestyle changes needed to make your home less toxic. Dust Mite testing collects solid dust samples from the carpeting, mattresses or other suspect areas of a home or workplace. The Dust Mite test uses a sample collector or filter device which is used to collect sampling. Depending on the technician, some tests might show instant results while other tests might need further investigation from a lab. For lab samples, concentration levels of dermatophagoides Mite Allergen are reported in micrograms, and are compared to what is considered to be normal. The feces and skeletal remains produced by Dust Mites can be very harmful and dangerous to humans. It is implicated in cases of Asthma & many other Respiratory diseases of the lungs. It is very important to dust and discard dust on a weekly basis. Thorough Inspection & Testing for Mold in a home ranges from $350 – $2000 depending on many factors like size of home, distance the inspector has to travel, how long the inspector needs to inspect the property, how many tests are ordered and more…below are basic ranges in price provided by our technicians. Air Testing: Will be between $200-$300 (for one outside/control sample and one inside room sample). Most additional room samples cost between $75 – $150 each additional room. ERMI/ HERTSMI-2 Test – ERMI tests (Done yourself) cost about $275, HERTSMI-2 tests done by yourself cost about $130, however most people do not collect the samples correctly. If you want your expert technician to do it for you it will cost an additional $100-$150 plus the base cost of your lab fee. These 4 methods will tell you “everything” you need to know about the possible mold in your home. Don’t see the testing service you need? Contact Us and we’ll help you! !